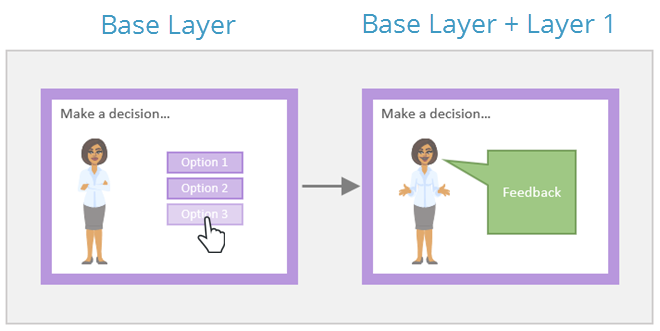 Layers are a powerful way to add interactivity and branched scenarios to your Articulate Storyline courses. 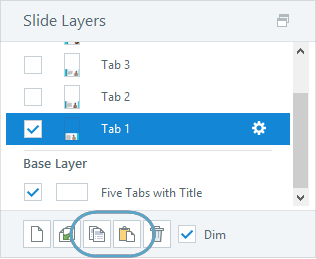 Use layers to display additional content at specified intervals or in response to learners' actions. 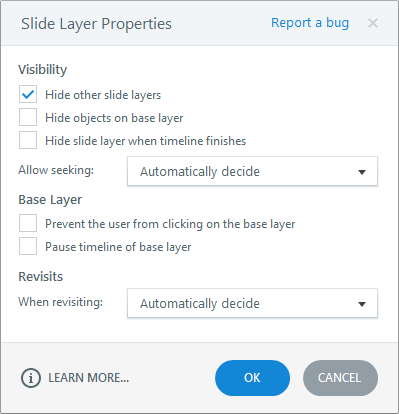 After adding one or more layers to a slide, use triggers to define when they should appear and disappear. 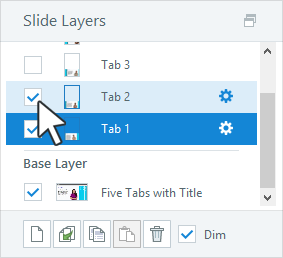 You can duplicate layers on the same slide or even copy them from one slide to another. 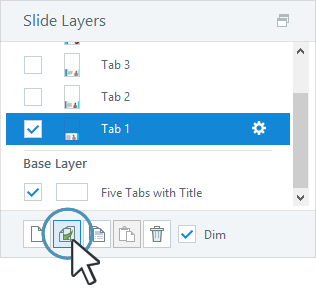 To duplicate an existing layer on the same slide, just select the layer in the Slide Layers panel and click the Duplicate Selected Layer icon (looks like two pieces of paper with a green arrow). 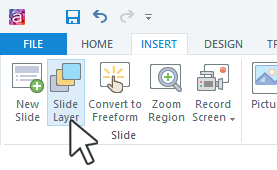 Select the layer you want to copy in the Slide Layers panel and click the Copy Selected Layer icon (looks like two pieces of paper). 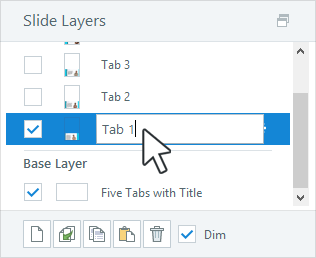 Go to the slide where you want the same layer to appear and click the Paste Slide Layer icon (looks like a clipboard). You can customize the properties for each individual layer. Just select the layer you want to edit, then click the gear icon. Tip: If the seekbar is read only in your player, the seekbar won't be draggable anywhere in your course. In other words, the seekbar setting in your player overrides the layer-specific seekbar options described above. 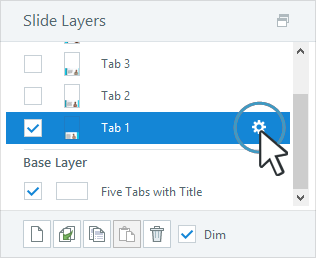 When you have multiple layers on a slide, you may find it useful to show or hide some of them while you're editing the slide. 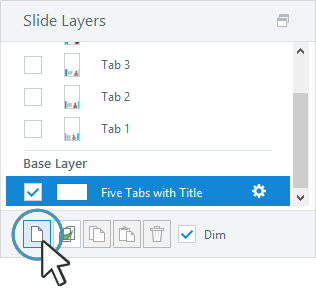 To display a layer, mark the box to the left of its title in the Slide Layers panel. To hide a layer, uncheck the box. By default, all layers that have been checked (see above) except the one you're currently editing will be dimmed. If you'd prefer to see them in full color, uncheck the box to Dim non-selected layers. 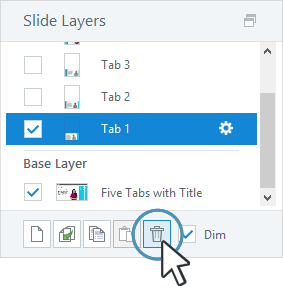 To delete a layer, select it in the Slide Layers panel and click the trash can icon (or just press the Delete key on your keyboard).